At first glance, you may mistake the tattoo on Lucas Archer’s chest for a heart. It’s actually a grimacing jester, a far more apt summary of one of WCPW’s more morally ambiguous stars. 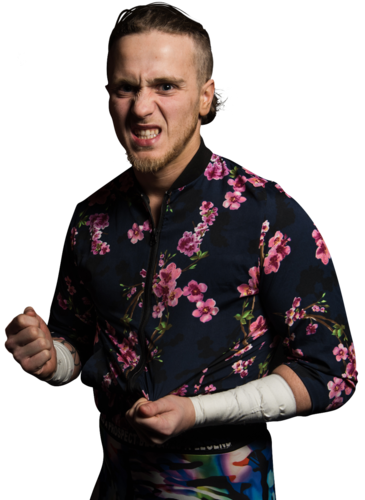 An underdog kind of character once conditioned by James R. Kennedy to have a real chip on his shoulder, the East Midlands man loves nothing more than getting under the skin of his opponents - especially if it helps Prospect pick up a win. It was previously argued that Archer - along with tag partner Alex Gracie - had an inflated opinion of himself, but that side has given way now it's become clear that Prospect were led astray from the beginning . A fan of beating his chest and declaring himself a “legend”, Archer is a crucial part of the WCPW tag-team scene.